Gift cards can now be purchased, please contact farah@farahqureshi.co.uk for further details. 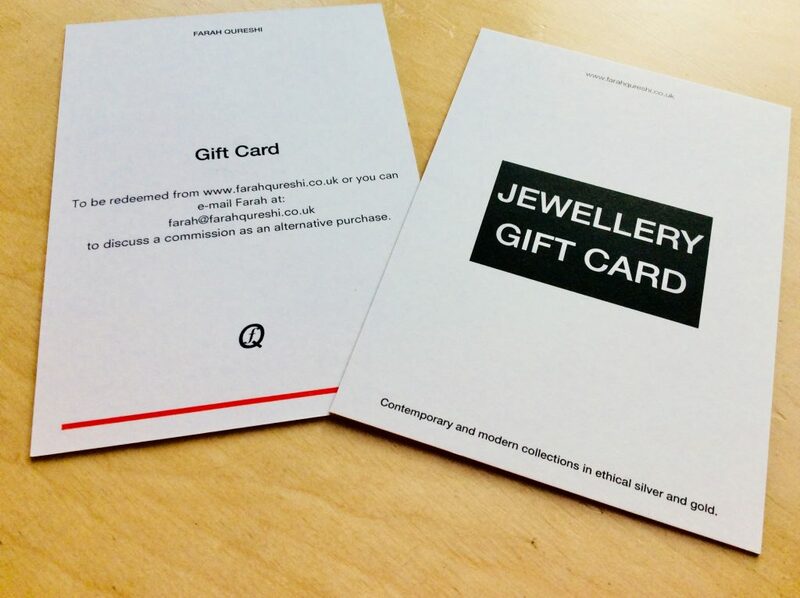 Gift cards are an ideal gift, the card can be exchanged for an item of jewellery or can be used to commission Farah Qureshi, to create a piece of jewellery to treasure. The gift cards start from £50.00 upwards.